Then log into your master node of the LogInsight Cluster (normally the first one deployed) and upload the PEM file and Save the change. Then upload the same file to each other node in the cluster. 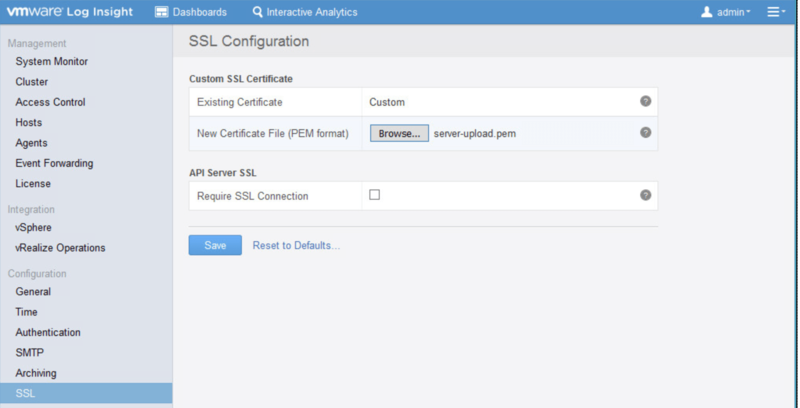 Tagged LogInsight, SSL, vSphere6. Bookmark the permalink.